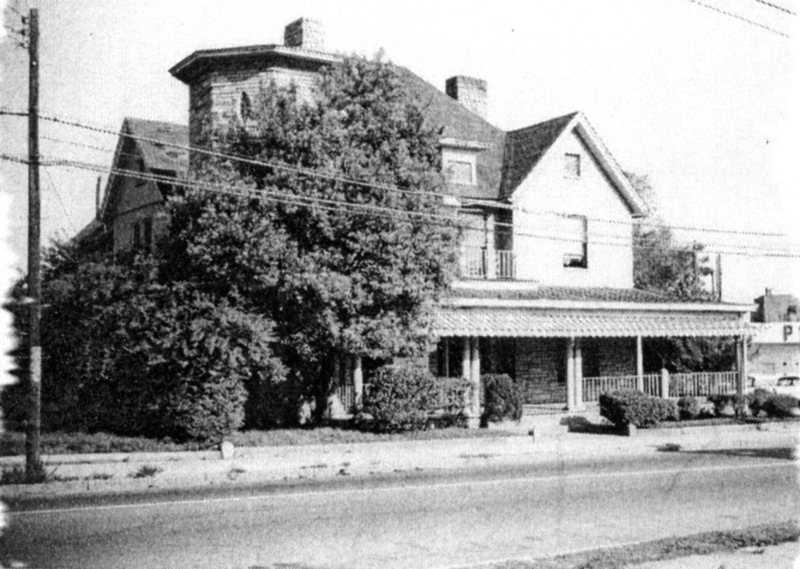 One of the grand houses of the elite in the African-American community of the early 20th century in Durham, John Merrick's house later belonged to Dr. Clyde Donnell before being demolished in the early-to-mid 1960s. My dad was an admirer of that house and once referred to the removal of the turret cap as a decapitation. I wan't sure why until now. That's the first time I've ever seen a picture of it as it was. It was lovely. John Merrick on the front balcony of his house, circa 1910. John Merrick was born in Clinton, NC in 1859, the son of an enslaved woman and a white man. He learned bricklaying as a boy, initially coming to work in Chapel Hill at 12 years old and subsequently moving onward to Raleigh, where he helped to build buildings at Shaw University. He began working as a bootblack in WG Otey's Raleigh barber shop. John Wright, a barber in the shop, persuaded Merrick to make the move to Durham with Wright. Wright would later state that he was persuaded to come to Durham by WT Blackwell, Julian Carr, and Washington Duke. 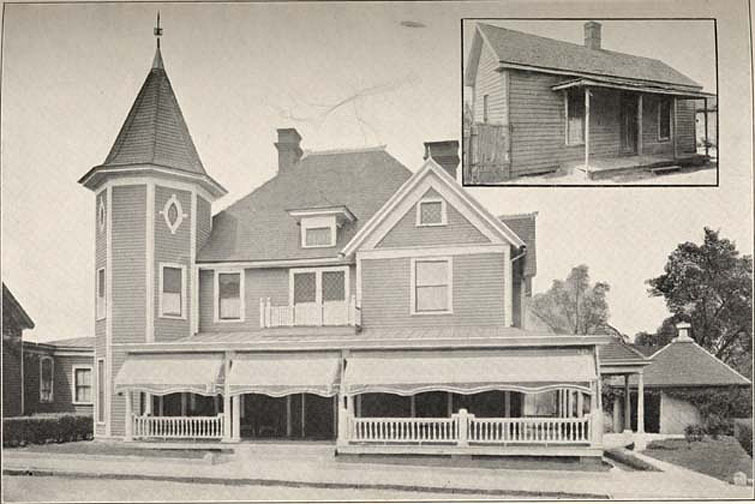 The two went into business in Durham, and by 1880, Merrick had an interest in the business, initially purchasing a half-interest, followed by the entirety of the business. Merrick opened his own barber shop on March 6, 1882. He continued to expand the business and, by 1892, had 3 barbershops serving African-Americans and 2 serving whites. (In 1890, he had begun to market his own personal care products, notably "Merrick's Dandruff Cure." 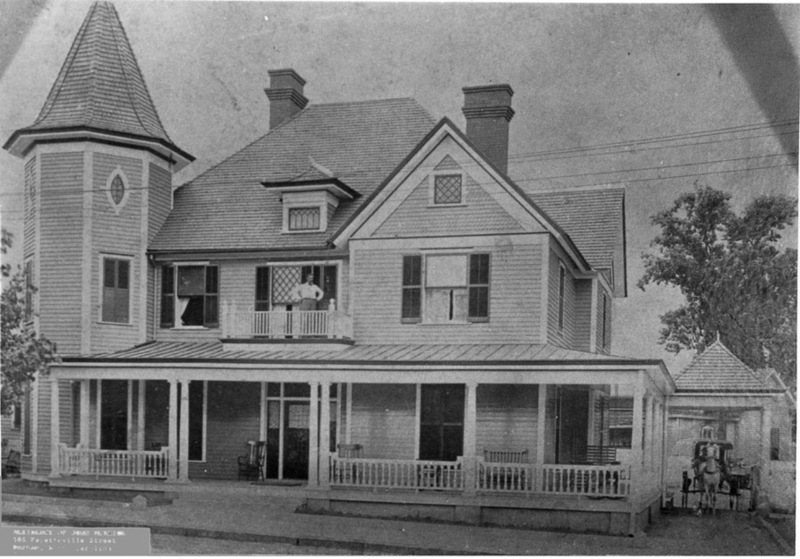 In 1887, Merrick had either built or moved into the house at 506 Fayetteville Street - one of the early stately Victorian homes established on 'Sugar Hill' - the name given to the residential district of well-to-do African Americans near the northern end of Fayetteville Street. From "John Merrick. A Biographical Sketch" by Robert McCants. Inset is of John Merrick's first house on Durham - at an unspecified location on Pettigrew St. The seeds of the future North Carolina Mutual Life Insurance Co. were sowed from two organizations: the True Reformers, and the Royal Knights of King David. The RKKD was formed in 1883 when Merrick, John Wright, W. A. Day, J. D. Morgan, and T. J. Jones purchased the right to operate the fraternal organization from a Georgian Reverend named - Morris. It was common in this period, and into the early 20th century, for fraternal organizations to provide insurance - typically burial insurance and some rudimentary forms of health insurance. In October, 1898, John Merrick, Dr. A. M. Moore, P. W. Dawkins, D. T. Watson, W. G. Pearson, E. A. Johnson and J. E. Shepard organized the North Carolina Mutual Company and elected Merrick President of the company. The organizers each invested $50 as capital stock and the company began business on April 1, 1899. I've outlined the history of the North Carolina Mutual Company in greater detail here. Merrick helmed the company until his death on August 6, 1919. 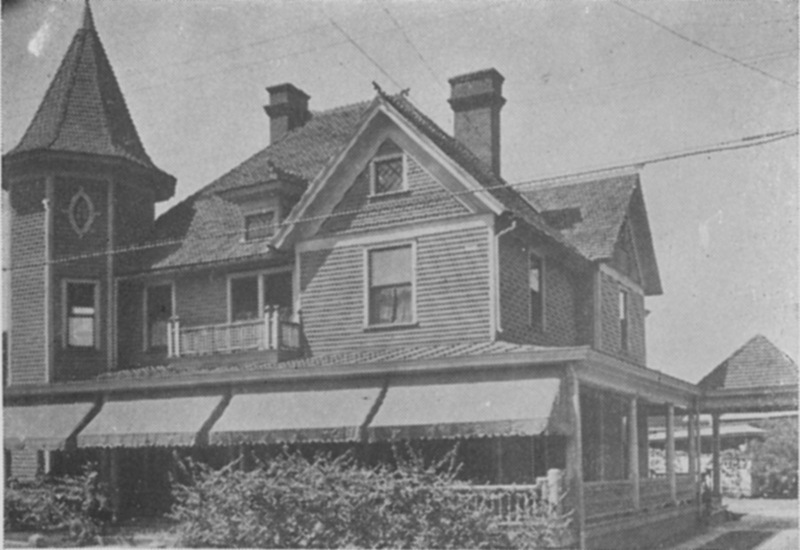 Merrick's widow, Martha Merrick lived in the house for nearly 20 years following his death. Shortly before her death in 1939, she transferred the house to her daughter Martha C. Merrick and Martha's husband, Dr. Clyde Donnell. 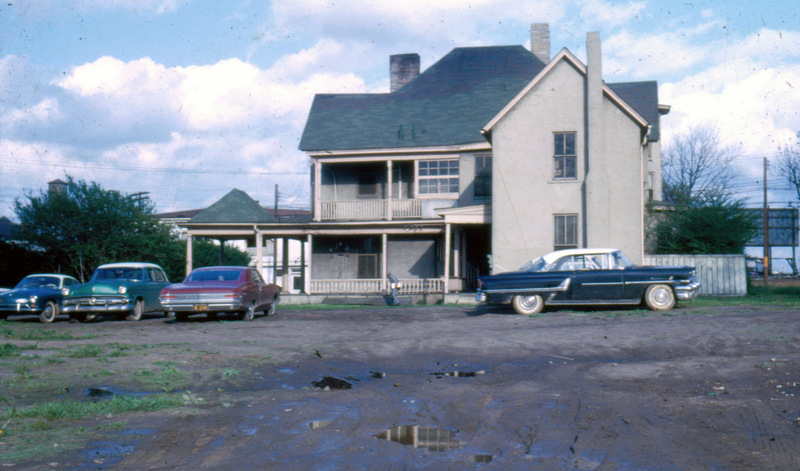 In ~1950 the house was remodeled; the top of the turret was removed and the remainder of the tower seems to have been covered with faux-stone/asphalt siding. Dr. Donnell was born in Greensboro in 1890, and attended Howard University before receiving his MD from Harvard in 1915. He did his post-graduate training at Mass General and Boston City Hospitals before coming to Durham in 1916. Dr. Donnell married Martha Merrick in 1919. He became Vice-President/Medical Director of the North Carolina Mutual Company. In 1925, when the NC Mutual Company began to do 'health extension' work for the African-American Community (setting aside the entire second floor of their new building on West Parrish as a clinic,) Donnell directed the endeavor. He also became Vice-President of the Mechanics and Farmers' Bank. He was a member of the advisory staff at Lincoln Hospital and held positions in multiple medical and civic organizations. The house would have sat near the present-day top of the Fayetteville St. off-ramp from the Durham Freeway.